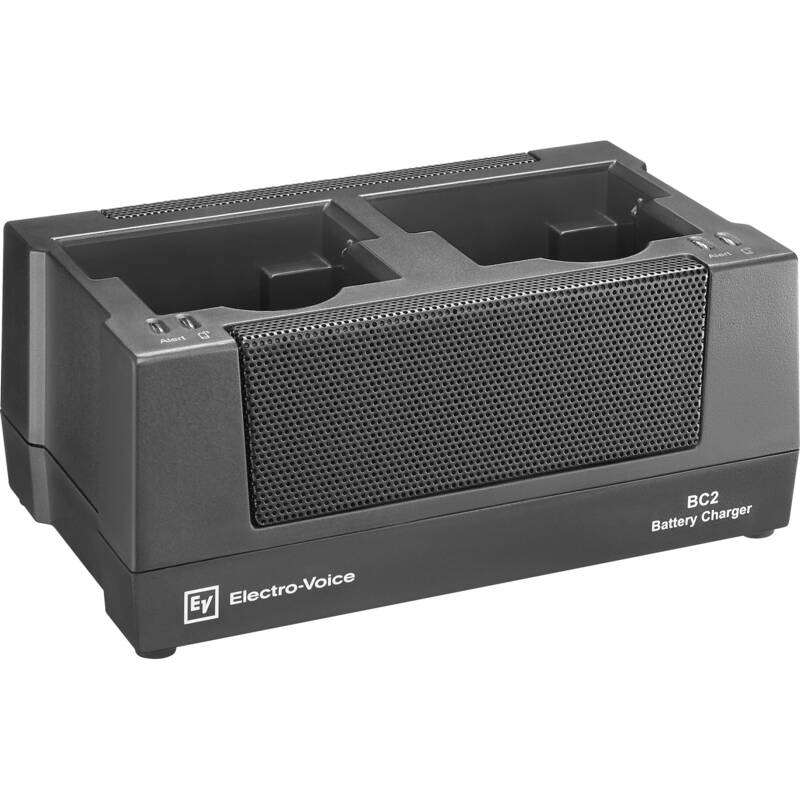 The RE3-ACC-BC2 Two-Slot Battery Charger from Electro-Voice is a two-sided, two-slot battery charging station for recharging optional NiMH rechargeable cells. It can be used to rechargeable cells while in either the RE3-HHT handheld or the RE3-BPT bodypack transmitters (sold separately). Charging time is about 3 hours for four 2000 mAh NiMH rechargeable cells.